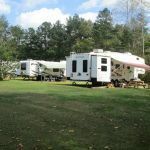 Ask fellow campers about "Lisa's RV Landing" and nearby attractions. I stay at this nice, quiet and well maintain RV park for about three months. The owner was super nice and I will be coming back to stay there again. She keep up the park, very clean and one of the thing I really like about staying there was that she made sure the campers who had pets cleaned up the waste. We camped at Lisa's RV Landing in a Travel Trailer. 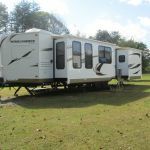 Are you affiliated with Lisa's RV Landing ?